A Wellness/Cardiovascular Dietitian is a registered dietitian who specializes in promoting heart health, wellness, and weight management, through preventive nutrition counseling and medical nutrition therapy. Dietitians specializing in the areas of Cardiovascular and Wellness nutrition may counsel individuals and families in a clinical or hospital setting; private practice office; corporate wellness, weight management, or cardiac rehab program; fitness center; research center; or military fitness program. 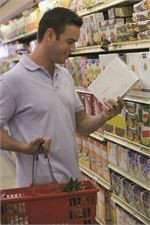 They may also serve as a media spokesperson; speak to organizations; serve on advisory boards; consult with food companies, grocery stores or restaurants regarding healthier products or menu items; write consumer or professional educational materials; and/or create newspaper, magazine, and internet articles or blogs. How can you locate a qualified Wellness/Cardiovascular Dietitian?